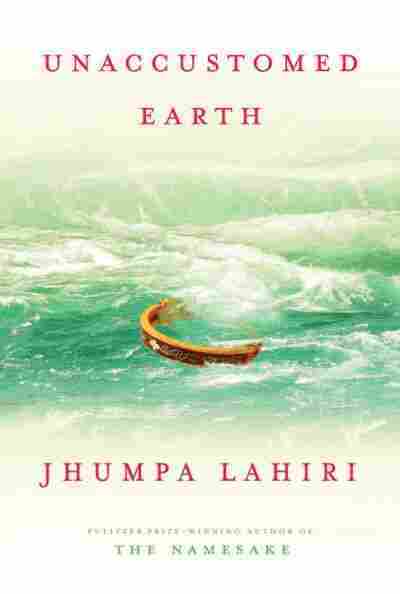 Book: Finding America, Losing Home Pulitzer Prize winning author Jhumpa Lahiri's discusses Unaccustomed Earth, her new collection of short stories. Lahiri's writing illuminates the experiences of first and second generation Americans who trace their roots to South Asia, and how the quest to become successful in this country can exact a price. Pulitzer Prize winning author Jhumpa Lahiri's discusses Unaccustomed Earth, her new collection of short stories. Lahiri's writing illuminates the experiences of first and second generation Americans who trace their roots to South Asia, and how the quest to become successful in this country can exact a price. Taxes are one constant in American life. We're going to shift gears now to examine another. The journeys of immigrants. In many ways the immigrant story is the American story. So many of us and our ancestors have come across continents and oceans to be a part of this country. And no matter how we came, many of us feel as if we've left something behind. Family members and friends to be sure, but often something more intangible. The feeling of belonging, of being settled, and at home. That's the emotional landscape confronting the characters created by author Jhumpa Lahiri. Her latest work is "Unaccustomed Earth, A Collection of Short Stories." She joins us now to talk about them from NPR's New York bureau. Welcome, thank you so much. Ms. JHUMPA LAHIRI (Author): Thank you, thank you for having me. MARTIN: You have had quite a couple of years. You won the Pulitzer Prize for your debut short story collection "Interpreter of Maladies." And then, of course, movie goers got to know you in "The Namesake," the adaptation of your novel, opened in 2006. When you started seeing yourself as a writer, envisioning yourself as a writer, did you anticipate any of this? Is this the life you saw for yourself? Ms. LAHIRI: No, no. I didn't really know what to expect. It took me a long time to even dare to envision myself as a writer. I was very uncertain and hesitant and afraid to pursue a creative life. And it did happen, but it was slow and it was a strange process and then once I felt that I was inside of it and committed to it, a lot of really remarkably unusual things started happening quickly. So, it took me by surprise, and I still marvel at times that I do what I do with my life, because I think it would have been very easy for me to never be in this position. MARTIN: How did this latest collection come about? I think I'm wondering about your process, and some writers like talking about it and some don't. I'm just wondering how you start a project like this. Does it start with one character? Does it start with kind of a vision of the total package? Ms. LAHIRI: This book, the stories in this book span quite a long time. I began thinking of some of the characters about a decade ago, soon after I finished my first book, and before I really even began working on my novel, "The Namesake," which came after that first collection. But there are a lot of characters and situations in this book that I first conceived of a very long time ago, and worked with a little bit, and then wasn't able to see through at the time. And so it's a book, in a way of some leftovers and then also stories that grew out of, I think, simply the phase of life that I'm in right now, which is a mother, a wife, living with and raising two small children. Watching my parents grow old and watching a generation slowly die off. So I think that these stories reflect that experience for me. MARTIN: Certainly the title story of the latest collection, "Unaccustomed Earth," is rooted in that kind of experience. If you would just briefly tell us the plot? Ms. LAHIRI: Sure. It's a story about a woman, Ruma is her name, and she is the daughter of Bengali immigrants and she is - when the story takes place, she has recently moved to Seattle for her husband's job and she has put her own career as a lawyer on hold because of both the fact that she has moved and she is a new place and she has a small child and she is also expecting a second child, but the main thing is that she is mourning her mother's unexpected death. And so the story is about a visit her father makes to Seattle to visit her and her son, while her husband is away on a business trip and a sort of, encounter between her and her father. It's a story about that meeting. MARTIN: Part of the underlying, sort of, tension is that she is trying to figure out whether she should move her widowed father in with her, which would be considered - it would be expected, had she remained at home in India - actually the United States is her home. As I think I mentioned earlier, the immigrant experience is at the center of American identity and many ethnic groups and racial groups and religious groups have, kind of, talked about the way that the tension between the old and the new plays out in their communities. This is a theme that is, kind of, central to your work. I would love to play a short clip from the movie that was made of your novel "The Namesake." It just gives us a sense of that flavor here. We have a short clip. Mr. KAL PENN (Actor): (As Gogol Ganguli) So, I've been thinking a lot about my name. Gogol is fine on my high school diploma but can you imagine Gogol on a resume or a credit card after that? Mr. IRFAN KAHN (Actor): (As Ashoke Ganguli) What are you trying to say? Mr. PENN: (As Gogol Ganguli) I'd like to change my name back to my good name. TABU (Actress): (As Ashima Ganguli) What is done is done. Now Gogol has become your good name. Mr. KAHN: (As Ashoke Ganguli) It's too complicated now. You're too old. TABU: (As Ashima Ganguli) Aniniri(ph), you have only your side to blame. Mr. PENN: (As Gogol Ganguli) Oh yeah, it was my fault because I was four years old? Ms. SAHIRA NAIR (Actress): (As Sonia Ganguli) That's right Gogol. Mr. KAHN: (As Ashoke Ganguli) Anything is possible in America. Do as you wish. MARTIN: And obviously there is a long story behind, you know, why - what is the good name as opposed to - his good name is - what's the other - what is the converse of the good name, your family name? Ms. LAHIRI: The pet name. Ms. LAHIRI: There's the good name and the pet name. MARTIN: There's the good name and then there is the pet name. MARTIN: Do you find that people react differently to your stories depending on their own backgrounds? Ms. LAHIRI: It seems there are, sort of, three levels in my experience so far, in terms of readers. I think there is the group that clearly connects to the work, or sometimes they don't connect to the work, but it's because they have more or less experienced the same or very similar upbringings, so that, sort of, Bengali immigrant community here and by extension the Indian immigrant community - though within India each region has such a strong identity so, you know, sometimes I'll hear from an Indian who isn't Bengali saying well, these seem very Bengali to me, you know. So there is that and then there is, I would say the next level is the sort of reader who is one or two steps away from an immigrant situation. So, perhaps, I would imagine my children or grandchildren, so the immigrant experience is still a part of life but very much a shadow at that point. And then there are people who, you know, though they may technically be able to trace their roots back to some other part of the world, they read the stories just as stories about people, about things that happen. MARTIN: If you're just joining us, you're listening to Tell Me More from NPR News and our guest is Pulitzer Prize-winning author Jhumpa Lahiri and she is talking about her latest collection of short stories, "Unaccustomed Earth." You write a lot about the tension between freedom and duty and it's interesting how it plays out differently for some people, you know, how some people find freedom and how some people experience their duty. But you also write about - and I think there is a lot of love in your stories, the relationships among family members are often rooted in love, but you also are pretty clear about the down side of some of these relationships, the pressure that some of these parents put on their children to succeed according to very narrow constraints. Does anybody ever get mad at you, kind of airing community dirty laundry, saying, you know, people don't need to know all of that? Ms. LAHIRI: We'll see. I think that in this collection I do probe that idea a little bit more closely. I don't appreciate this sort of reading of my work but I also understand that it's natural, I suppose, that there's a sense in which my stories, my novels, are being held as, sort of, you know, almost sociological studies of the Indian immigrant community, which in my opinion, they're absolutely not. You know, I don't think that's my responsibility as a writer. My responsibility isn't to paint a flattering portrait, my responsibility is to paint a real portrait, a true portrait. MARTIN: How do you hear the conversation that we are having now, particularly because of the presidential campaign, about somebody like Barack Obama? How do you hear the conversation around his identity, whether he's really an American? Ms. LAHIRI: Yes, with great interest and I'm excited by his candidacy enormously and I'm, you know, it's so particularly thrilling for me to watch him. No matter what happens, no matter what happens in a couple of months, just the fact that he has come this far is so amazing to me and in such a - I mean, when you think about this country and how it used to be just 40 years ago, it just thrills me to the bone just to think about where he has come and this debate about whether or not he's an American is, you know, it's maddening but it's also, in some senses, it's my life and it's the life of so many people. Just regular people who have grown up this way, who feel fully American but will never be accepted as fully American, for whatever reason, whether it's skin color, or various countries in the background, or something about the name, or whatever it is, there's something that, you know, people will seize upon and say that this means the person is an outsider somehow. But I feel hopeful, I feel hopeful that someone like Obama has come as far as he has and I think that attitudes take a very, very long time to change but they are changing and they have changed and I think that that, in and of itself, is very, very exciting and encouraging. MARTIN: Jhumpa Lahiri joined us from NPR's New York Bureau. Her new short story collection, "Unaccustomed Earth," is in bookstores now. Thank you so much for speaking with us.